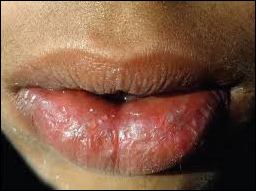 Cheilitis Glandularis (CG) is also known as Lip Mucinitis (Myxadenitis Labiaris). It is a rare inflammatory disorder of the lower lip. Cheilitis Glandularis is a progressive enlargement and the inversion of the lower labial mucosa with hyperplasia of the salivary glands. Enlargement and chronic exposure of the mucous membrane of the lower lip becomes affected by the environment, leading to erosion, ulceration, crusting. The disease is chronic and prevalence of this disease is more common in older males around 50-60 age group. Burning and rawness of the lip. Shrinking, erosion and ulceration of the lip. Simple Glandular Chelitis: Salivary gland hyperplasia. Superficial Purulent Chelitis: Known as Baelz disease, this type only invades the catheter and there is no effect on saliva. Deep Purulent Gonadal Chelitis: In this type, salivary gland and other glands are involved. Congenital: Cheilitis Glandularis is caused due to autosomal dominant inheritance, occurring in children or young people. It is also inherited by family. Acquired: It can be caused by toothpaste, mouthwash, smoking, poor oral hygiene, long-term exposure to sun, sand and dust. On the surface of lower lip keratosis, erosion and crusting develops. The prevalence of this disease is at the rate of about 0.003% - 0.009%. These are the herbal treatments you can easily try at home. Our Planet Ayurveda Doctor and expert team prepared their products using the best quality of herbs and by following principles of Ayurveda. All their herbal products are made from natural herbs. These include Herbal powder, Herbal capsules, Herbal teas, Herbal tablets, Herbal oil, juices, beauty cosmetics etc. Punarnava is commonly known as Hog weed, Pig weed. Punarnava, which literally means 'bring back to life' or 're-newer'. It has multiple benefits to cure disease. Its leaves are used as vegetable. Punarnava Capsules are used for treatment of skin diseases and edema. 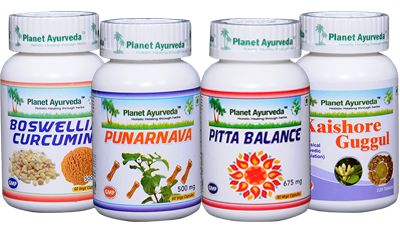 Punarnava from Planet Ayurveda is pure herbal product. It helps to maintain healthy skin and has no side effects. Dose: Take 1 capsule daily with plain water after meal. Kaishore Guggul contain blood purifying natural herbs like Giloy and Triphla. It cures many skin diseases like acne and eczema. It is used to treat Cheilitis also. It has detoxing quality. It removes toxins from the blood. According to Ayurveda our body is made up of 5 elements – Earth, water, fire, space and 3 physiological humors – Vata, Pitta, Kapha which represent 5 elements. Pitta represents the fire. Metabolism, digestion, the formation of new cells is controlled by pitta. Pitta balance capsules help to balance this dosha in our body. This medicine act as a blood purifier and helps to keep skin healthy and clear. 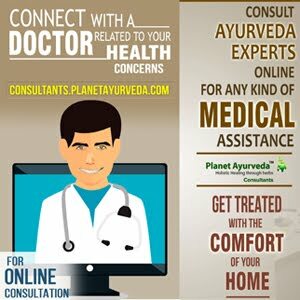 The Boswellia Curcumin capsule is offered by Planet Ayurveda. It is one of the most effective anti-inflammatory herb. Boswellia and Curcumin is highly oxidant in nature. It is very useful for many skin diseases. Dose: 1-2 capsule twice daily with plain water after meals. Prevention of this disease is possible by taking Herbal remedies. Early detection, early diagnosis, early treatment can help prevent this disease. Ayurveda helps in treatment of acute and chronic diseases like Cheilitis Glandularis. Following herbs are recommended as home remedies. Aloe Vera is known for its soothing effects for various skin diseases. Aloe Vera juice or its jelly have multiple uses. The Aloe Vera juice gives speedy and effective cure in the pain of Glandularis Cheilitis. It has antiseptic and healing properties. It helps to kill the microorganisms causing infection. Plant is very easy to grow at home. Aloe Vera gel is easily available in market. Keep Aloe Vera in refrigerator. Squeeze its jelly and massage it on the affected area gently and leave it for 15 minutes. Apply 3 times daily for better result. It gives long term effect. Regular use of Aloe Vera cures Glandularis Cheilitis permanently. Cucumber is very effective in reducing pain and give soothing sensation to the skin. Keep a cucumber in the refrigerator. Grate a cucumber and extract its juice. Apply the juice on the affected area on lower lip and leave it to dry. Apply five to six times daily. Honey is soft, soothing and smooth. It is very good and effective home remedy to treat Glandularis Cheilitis. It is inexpensive and very safe to use especially if you don't like bad tasting or foul-smelling remedies. This works very effectively on the infection and kill the micro-organisms. Smear the generous coating of honey on the infected area and leave it for 15 minutes. For best results cucumber can also be used with it. Neem is an anti-microbial herb and you can use its leaves for treating Glandularis Cheilitis. Neem oil is easily available in market and can be applied in a thin layer on the lower lip. You can make a paste out of cream and neem leaves. Apply it on your mouth and let it dry for 15 minutes. Wash off with normal water. Or you apply a drop of neem leaves oil on the infection. Granular Cheilitis is caused due to Vitamin deficiency in most of the people. So, add high content of vitamin B12 rich food in your diet. A balanced diet is very important to cure chronic skin diseases and it also increase immunity. It helps to heal wound faster. Include spinach, carrots, legumes and tomatoes in your diet because they are rich in vitamin B12. Drink Apple juice on regular basis. Ghee has many medicinal qualities and it is excellent natural remedy for skin disorder. Continuous use of it prevents Cheilitis from recurring. It will kill bacteria and fungus and soften the cracks of skin. Warm some pure ghee and gently smear it on the lips. Do this frequently before going to bed. Olive oil has a great antimicrobial and moisturizing properties. Olive oil is very effective in treatment of skin disorders. Warm little amount of olive oil and massage it on the affected area. Do this twice a day.